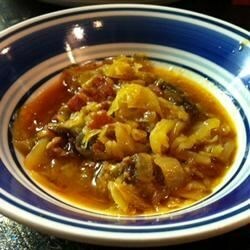 "A traditional Polish stew using pork, kielbasa, and sauerkraut. Great for a cold winters day. Well worth the time it takes to make it!" original recipe don't leave out the kraut or paste! Those are the key ingredients. Drop in some bay leaves!